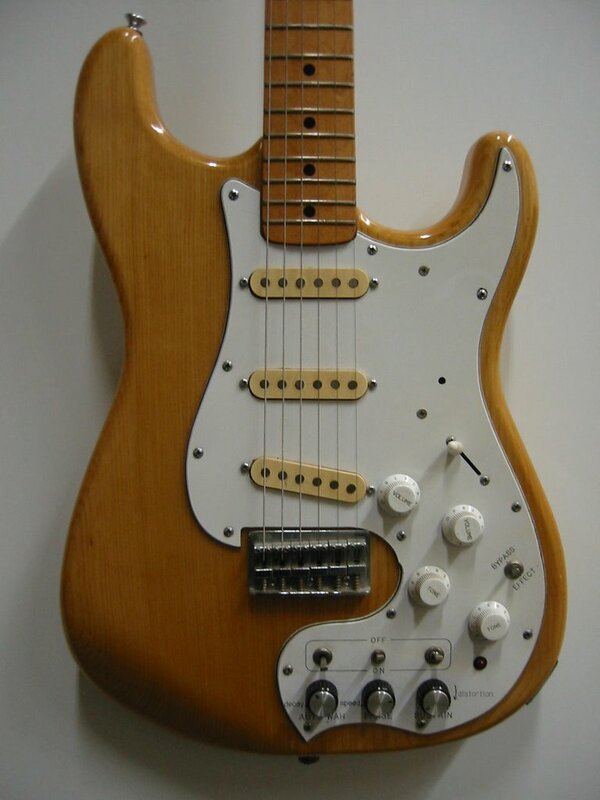 This Strat-o-ternative was produced by Fresher, a German guitar maker. "Fresher" eh... you should see the headstock. 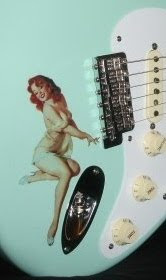 See this article from Vintage Guitar Magazine. Talk about German engineering-- would ya just look at all the knobs and switches on this thing!! What is all that stuff?? Actually, this model comes stock with it's very own micro-brewery. Just think, no more drawing straws on who makes the beer-run. In fact, you can actually draw your own straw directly from the refrigerated tanks, located near the trem spring well, and enjoy a cold one, at mid-set or any time that strikes your fancy. Pictured is the Pilsner model. There's also a Lager model, and Fresher is close to releasing a limited production Hefewiezen Strat-0-tapper, just in time for Oktoberfest, which comes with a commemorative bratwurst sausage, matching capo & slide set. Note: Hops, barley & malt sold separately.